Now that Medicare is a mature program, just wrapping up its 50th anniversary fête, supervision of the single-payer public healthcare program in Canada plainly has been transferred from the old school of high-minded idealists, whose background was often the clergy or the Prairie co-operative movement, to the current crowd, whose special managerial expertise often seems to lie in running low-life grifts. A grifter is a con-artist, defined as “a person who swindles you by means of deception or fraud.” Among this group, a popular and highly efficacious maneuver is the infamous bait-and-switch. This occurs when a buyer is promised a desirable item or service at an irresistibly low price, and is later informed (often at the point when delivery is expected) that the item isn’t available—but a substitute might be arranged, usually at greater cost to the consumer. The gambit is regarded as fraudulent, and is prohibited in many locales. The equivalent scam in the Canadian healthcare system would be the expanded use of druggists (along with technicians, assistants, or other ancillary workers) to perform medical responsibilities that patients might reasonably expect would be fulfilled by doctors. That is not to say it is inadvisable to redefine the roles of allied healthcare professionals or para-professionals, with the objective of providing better co-ordination of services, and making more effective use of resources. That aim, if properly executed and realized, would be laudable. What is inadvisable is the notion by provincial health ministries that they can arbitrarily off-load duties traditionally performed by physicians, to less knowledgeable, less well-trained workers, simply because the jurisdiction can’t educate or attract doctors in sufficient quantities—and for the ministries to then expect that patients won’t notice or object.It seems a safe bet that if similar bait-and-switch practices occurred in a private-sector area of the economy (say, in the aluminum-siding or used-car sectors), government regulators from the Office of Consumer Affairs would make themselves busy issuing subpoenas by the bucketful, to the accompaniment of newspaper editorials screeching for justice for the little man. However, grifters could not exist but for the gullibility of “marks,” who are credulous suckers, who will make a point of declining an even break, if offered. One such anxious-to-be-duped group of marks may be found occupying the editorial board of the Toronto Star newspaper. The editorial writers of Canada’s largest newspaper managed to interpret the transfer of certain duties of patient care from medical doctors to baccalaureates in pharmaceutical studies as something other than a potentially injurious act of fraud perpetrated on the public by Ontario’s provincial government. To the Star, it is a cause of celebration. Is it possible there are marks deluded enough to think that the act of adding the word “enhanced” in front of a druggist’s job description might mask the reality that hundreds of thousands of OHIP premium-paying citizens continue not to have access to a physician? We have no disrespect for pharmacists, as a group. Quite the opposite: We are delighted that finally, after decades of prodding, they agreed to stop killing their customers by selling them tobacco products, and we take considerable satisfaction from those occasions where they herald the arrival of the weekend by reducing the cost of Pringle’s toothsome snack-food products, often quite substantially. However, it must be pointed out that, even with encouraging developments such as the use of the DPharm nomenclature to describe their baccalaureate education, and the installation of “counselling areas” in their retail stores, pharmacists simply are not doctors. It is dangerous, and, yes, fraudulent to purport otherwise to patients who are paying for, and expect to receive, physician services. It would be tantamount to declaring that the Star’s home-delivery staff are equivalent to its editorial-writers in molding public opinion. After all, both groups have firm opinions on essential contemporary topics, such as Lady Gaga’s couture and the availability of carbonated soft drinks in school cafeterias. 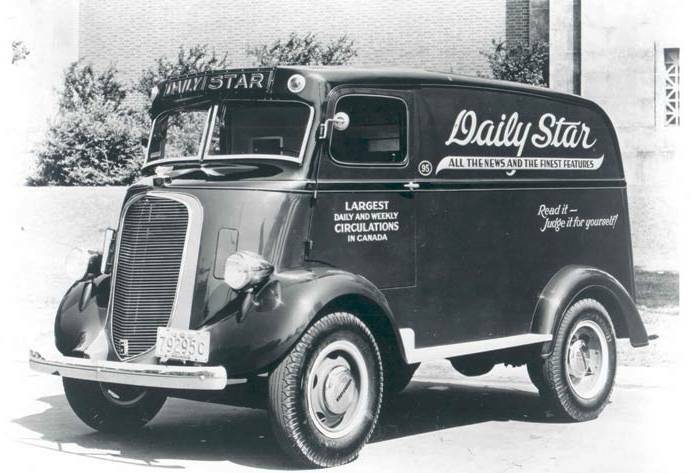 However, the deliverers serve as the main point of contact between the newspaper and its customers, whereas the editorial-writers have been cloistered and befuddled to the extent that they can’t tell a win-win from an obvious swindle. The remedy: If it’s a good idea to let enhanced pharmacists write prescriptions, it’s only fitting to let a new “enhanced” class of delivery-boys establish the media’s positions on public policy matters.